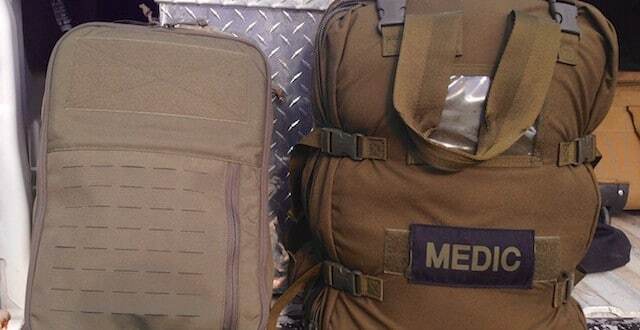 I recently had the opportunity to demo the FirstSpear Medical Trauma Assault Pack (MTAP) bag. Demo in this case means I beat the living snot out of it for the last 6 months. I’ve had multiple “tactical” medicine bags from all the big name brands and decided to try a bag from a high-end manufacturer like FirstSpear for once. Due to the nature of this bag, it is an ideal piece of equipment for paramedics, law enforcement as well as range officers and those who have received trauma training such as is offered in the one day class being taught at Detroit Bullet Works on Feb 21st. Watching the videos from the FirstSpear website immediately got my attention so I tried finding the cubic inches of the bag to see if all my current supplies from my work bag would even fit. After no luck because it was so new, they just sent me one to demo. My first impressions were not in line with my expectations. The bag was half the size I had estimated and after sitting next to my loaded BlackHawk STOMP2 bag (picture) I thought there was no way it was going to fit. I was, however, extremely impressed with the material, stitching, strength and the over all high-quality construction. It took several days to work up the motivation to attempt to move my work gear to the new MTAP bag. It was clear to me looking at the bag sizes that the MTAP would never fit all the gear I carry for my job. Even though the outcome looked bleak, I decided just to give it a try. I was pleasantly surprised when everything fit inside it! The bag stretched and broke in well, something you wouldn’t expect from a heavy duty bag. Even if everything didn’t fit, smaller slim packs are becoming popular. On the other hand, a more compact bag could force you to stop carrying a ton of stuff you don’t need (that’s a whole other article there). The front of the pack has Velcro on the top 1/4 and their 6×12 (MOLLE) system on the bottom 3/4. If you haven’t seen or touched FirstSpear’s 6×12 system, you NEED to; it’s unlike anything else out there! The 6×12 system is a low profile; no drag, laser cut MOLLE system that allows you to attach additional gear without having loose loops that can get snagged in a vehicle or aircraft. It still blows my mind at how useful and clean it looks on top of being more streamlined. The inside has three clear pouches that rip away. They aren’t anything special, there is only so many ways to make a see-through pouch but they do hold a AAJT (Abdominal Aortic Junctional Tourniquet). It is nice that they rip out and also makes a useful platform to work from, when hung from inside vehicles. The other side of the bag is where the magic happens. FirstSpear noticed that the standard medical bag daisy chain stitched inside never fits what you want to put there. So they made half the panel with adjustable bungee cord. This is such a simple idea, and none of the competition is doing it. It’s out of the box thinking and incredibly useful! They did sew a few daisy chain loops inside, though I wish the entire panel were the adjustable bungee cord because it is so adaptable, conforming to any shaped item. On top is one carry handle to carry or hang the bag from and a very strong trauma shear sheath. The backpack straps stow inside a layer of material on the back, another great idea that can be seen with more and more assault style packs. The bungee cord system on the front panel has a hidden pocket that can be accessed from inside or outside the bag. I actually almost forgot to mention that in this article, but when looking at how much stuff it actually holds I have to talk about it no doubt. It is extremely convenient to be able to just drop the bag and unzip the outside zipper to quickly access critical items like TQ, Combat gauze, or chest seals. The pocket is not water proof as it is just under the 6×12 laser cuts but should not matter, as most medical equipment is vaccuum sealed in plastic to remain sterile. The pocket gives additional functionality to this workhorse of a bag. The bag stays slim, streamline and snag free; ideal for working inside aircraft, armored vehicles, in and out of houses and can be hung from just about anything. The backpack straps untuck and clip into straps in seconds for when you’re going into the woods or if you need to drag carry someone. 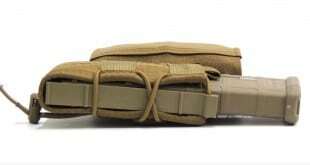 The straps are generous and fit well over plates, body armor and hydration bladders. They are not padded but serve their purpose of carrying gear for short periods; it is not meant to be a ruck. Overall this bag is amazing. 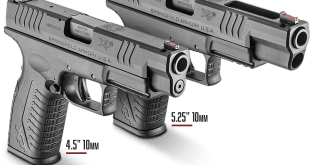 Even when comparing prices this is upper tier equipment but not outside typical price points. It’s kind of a no-brainer just to go with a high quality product like what FirstSpear pumps out again and again. You won’t be disappointed with this product!